[The] songs on this record come from far away places and from men who are long gone. Some I learned from old records and some from my guitar playing friends. I'd like to thank those friends, for the good times, the good music and for their friendship. The name on the record cover is not misspelled. In 1971, when this first collection of recordings by the artist formerly known as Roy Bookbinder was released... Well a ways down the long road, at a dry cleaners in Florida, the clerk couldn't find Mr. Bookbinder's clothes. After many efforts to understand the Yankee, the lady finally said, "Oh! You mean Book Binder!" 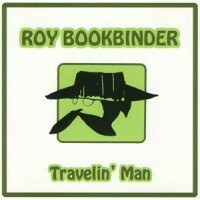 Being the practical sort of guy, Roy decided to go with the flow on this and changed his name to Book Binder. His old friends at Adelphi understand, but we strive for purity in reissuing classic recordings on CD, so the one-word name stuck.